Patterico busts the Juice Voxers for misrepresenting the US national debt but lets them off easy for their sneering, condescending tone. Let me put it this way - the video in question sounds as if it was narrated by PajamaBoy. And maybe it was. Left unanswered by the Juice Voxers - if the US national debt equals the debt held by the public, at $12.5 trillion, why do we have these scuffles about the debt ceiling, currently at $17.2 trillion? (Hint: The Social Security trust assets are a big part of the difference). And when did debt held by the Social Security Trust Fund lose its sacrosanct status in the progressive catechism? Geez, I can remember when Bush wanted to reform Social security back in 2005, the progressive screaming point was that the trust fund debt was utterly comparable to Treasury debt, even though it is not. To be fair, maybe the catechism changed when Obama decided to ignore the fact that the Social Security trust assets are already included in the debt ceiling and pretended that failing to raise the debt ceiling would jeopardize payments to grannies and grandpas. Has Team Left finally grasped these point, or is this just more of Matt's flexible advocacy? If the debt is no problem, how come Obama keeps bragging about cutting the deficit (his own) in half? The government can't just keep printing money. The printing presses will contribute to global warming! Speaking of exonerated, WH says more than 6M have now bought private insurance through the exchanges. "6 Million"-- a driveby number that means nothing. The most recent million, who has actually paid? matters not, Obummer will just waive the payment requirement and 'deem' them insured. It's a sick joke. Klein and Yglesias = consummate asses. Congrats TomM-- this is a very apt post about the madness of the Debt that the Dems have created during the past 5 years, and the pitiful lies they tell to mischaracterize the civilization destroying nature of the Debt. You nail one such lie -- somehow SS Trust Fund Debt is debt for GWB, but not debt for ObummerPhones and Medicaid payments. Things like Klein and Iglesias are disgusting hacks taking Soros money, filthy lucre if there ever was, to lie to Millenials. When the Debt Bomb fully detonates, the Millenials will string up Klein and Iglesias, rightly so. Note that this latest troll offers no substantive defense of Yglesias, and no substantive refutation of Patterico. In particular, he does not deny that the very first words out of Yglesias's mouth are wrong. Agreed on the forest for the trees argument. The larger problem is Yglesias's preposterous argument that because inflation is low [tell that to anyone buying luxury items like food and energy] and raising taxes or cutting spending are bad [correct on the former, wrong on the latter] therefore debt isn't a problem....right now. A guy who pulls the pin on a hand grenade and then sets it in his lap doesn't have a problem either....right now. And I think it must be true because it's not being reported by the ADN. Rasmussen Reports. It shows an even race, 44 percent to 44 percent, between Begich and Republican challenger Dan S. Sullivan, and perhaps a bit surprisingly, Republican Lt. Gov. Mead Treadwell leading Begich 47 percent to 44 percent. Sounds like you have Julio on the brain. However, per Timb, if Patterico's point is so small why doesn't Matty just concede the obvious error? The Rule is, deficits are bad only when modified by the words "Reagan" or "Bush." "Dr. Corsi confirms he was just in England working with British intel advisor Michael Shrimpton. Mr. Shrimpton claims the CIA has DNA evidence on Obama and that Obama wasborn in Kenya. Dr. Corsi also reports he met with Lord Christopher Monckton and he's prepared to take the Obama birth certificate challenge to court"
"Bush’s 2001 tax cuts was the first time the budget reconciliation process had ever been used for a bill that increased the deficit. Ever. Democrats were appalled. When they retook the Congress, both the House and the Senate passed a rule barring reconciliation from being used for bills that increased the deficit. "The product, of course, is that Democrats can’t use reconciliation for bills that increase the deficit. But it goes beyond even that: A number of powerful congressional Democrats really care about the deficit. So too do a number of powerful White House economic advisers. They’ve decided that balancing the bill in the 10-year window, as the House Democrats do, isn’t sufficient. They want it balanced beyond the 10-year window, too. "It’s all very responsible, and very good policy, but it means the Obama White House has committed itself to two incredibly stringent conditions the Bush White House avoided: finding sufficient revenues for their programs, and finding the kind of revenue that keeps pace with the spending in their programs over the long-term. That makes their job a lot harder." Michael Mann is leading by a strong margin, but I have to go with the guy currently in next to last place, Aussie Prof Chris Tunney of The Spirit of Mawson icebound Antarctic fiasco. Please jump on over and get your votes in. "...he's prepared to take the Obama birth certificate challenge to court"
Correct me if I'm wrong, but I think that's been done before. DoT-- thanks for that quote. I am persuaded that Ezra is as dumb and naive as he is obnoxious. What a joke he is. It looks like the National Science Foundation has been handing out grants for some unorthodox research projects, according to House Republicans. This includes $700,000 in funding for a climate change musical. Why do you even read these twits? Just as ol Satchel Page said "the social ramble ain't restful", reading these two clowns will only get you upset. Little Mattie and Ezra are living proof of the maxim that ignorance can be cured, but stupid is forever. With a capitol T and that rhymes with P and that stands for Phool....or Phraud? Not on you your grandmother's tintype. When Bryant was asked by the author of the article what he thought of the Miami Heat’s show of solidarity with Martin -- the team posed in hooded jackets like the one Martin was wearing the night he was shot and killed by George Zimmerman in a Sanford, Fla., neighborhood -- Bryant said he didn't see how such support showed any "progress." "So we want to advance as a society and a culture, but, say, if something happens to an African-American we immediately come to his defense? Yet you want to talk about how far we’ve progressed as a society? Well, we’ve progressed as a society, then don’t jump to somebody’s defense just because they’re African-American. You sit and you listen to the facts just like you would in any other situation, right? So I won’t assert myself. their view, because one would call it heresy. Kobe was going to Duke, by the way. Yes, that Duke. The one that lost to Mighty Mercer. No. I do not have any idea where Mercer is located. If I had proof that Obama was not born in the USA, the last place I would go with it is Federal Court. Nate Silver's site statistically analyzes Pauly Peanuts' coverage of Nate Silver's site and finds his view of it substantially more critical now that Silver is no longer batting for the home team. The website about the $700,000 Climate Change Musical (The Great Immensity) says It is a thrilling and timely production...a highly theatrical look into one of the most vital questions of our time: how can we change ourselves and our society in time to solve the enormous environmental challenges that confront us? 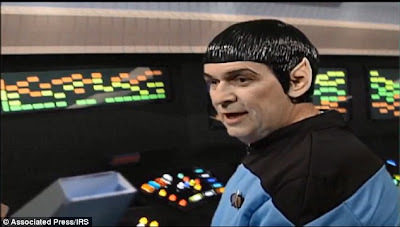 Rodgers and Hammerstein they ain't, and from the look and sound of it, production wise, I think our line dancing IRS agents in Star Trek outfits probably gave us a better bang for our Federal buck. Newest recipient of the left's two minute hate, Nate Silver, has an interactive bracket at his site, including odds for current match-ups and possible future games. Our Chitown friend has identified something sneering, condescending and stupid behind the NCAA NLRB ruling. "NLRB ruling on NU football targets endowment more than rights. Shakowsky driven excercise in search of greater District Cash Sources. Evanston has long lusted to be able to tax largest land holder. Just the latest ploy. Also signals the sense of desperation for cash flows on that side of the aisle." Update your prog survival bracket: public sector pensions just trounced private academic endowments. I'm thinking this Administration is probably considering funding some Ukranian theatrical production about the Russian takeover of Crimea as our next stern move against Putin. Fiddler On The Roof--This time, it's for keeps! That'll show 'em. And having listened to that tune again from The Great Immensity, I think I can safely say that if these poor b@#$tards had chosen to Fund The Great Immensity instead of Springtime For Hitler, their money losing scheme would have worked like a charm. "...the last place I would go with it is Federal Court." You would start with maybe Alabama Superior? How about Fox News, National Review or the Wall Street Journal? daddy, glad you caught that Barone poll link! I was afraid it hadn't posted. It's probably best that ADN isn't reporting it - the longer it's on the QT, the better IMO. If I wanted any real credibility, plus some cash, I'd go with The National Enquirer. Then, I would bask in my much more than 15 minutes of fame as I read about every bad thing I ever did on the front page of the NYT. Why not just start on JOM? It has yet to be proved one way or another here. So what are we "smarties" doing sitting here talking to each other when we could be applying for federal grants to put on productions on Obamacare and Climate Change? C'mon, JOM has TALENT. Seems plausible to me too, centralcal. The harassment of the Koch brothers is also frightening to contemplate. Once upon a time, meaning before 2009, American government officials did not publicly harass American private citizens using the full force of the state. The really really disturbing part is that this is going to be par for the course for every Dem administration for the rest of history, assuming we survive this one. Why not here? Well, there is no actual evidence. Speculation, innuendo, belief, are not evidence. Attacking a PDF of a birth certificate does not begin to prove Obama was not born in America. Get me some credible Kenyan records. Photos. Newspaper clippings. Witnesses. Damn. I was making a joke and I've been drawn in. Oh, well. What's a day without this fight? Damn. I was making a joke and I've been drawn in. Doesn't attacking the pdf prove that he hasn't proven where he was born? Why are we tasked with proving where he was born? LOL, TK. I saw that one coming. The evidence I have described here would be sufficient to compel a finding of Hawaiian birth in any court in the land. The evidence of a "forgery" would never withstand cross. But it's nice to get our daily dose of the Birther Report. I was thinking more along the lines of a film noir true detective crime story featuring a serial liar, an imperial wife and a clownish but pandering partner. Good point, as usual! Let's just hope Nate Silver doesn't pick it up. Susan Estrich appears to have shed quite a few pounds. I already supplied the perfect title and premise at 4:33; nerdy grifter comes to town selling a pipe dream to sucker the yokels out of their money. All we need now is some inspired casting. Hi Extraneus - good to see you. Ignatz, my husband thinks that guy is super funny, for some reason. I think he should play Waxman. Pdfs are sufficient to get drivers licenses. Photocopies of alleged birth announcements are sufficient to get a drivers license. Wahoo! CNN/Fortune has come out with a list of the world's top fifty leaders. Angelina Jolie and Derek Jeter are on it. Barack Obama isn't. Iggy, wouldn't this guy be a better choice? He's got the whole "It's not a lie if you believe it" thing down. And he actually is a musical theater guy, in fact won a Tony. There's definitely a clearing of the decks about all these cases of the "unknown party" being filed now. From what I have read about them, many were long-term investigations, rather, have them out now than leaks of the investigations leaking weeks before the election. I think there are also other more sinister reasons imo, like sending a message to others to tow the line. Another thing I notice is that all of them were in areas that were clearly blue-hells. This means the damage will be nominal, as those areas will remain blue-hells. SAN FRANCISCO – Beneath the strings of red paper lanterns and narrow alleyways of the nation's oldest Chinatown lies an underworld, a place with a history of opium dens, gambling houses and gangland murders. Federal investigators say it's also where Raymond "Shrimp Boy" Chow operated a criminal empire while projecting a public image of community servant. Are we still talking about the layers on my speeding ticket? Pagar, six year of investigation? We ought to investigate that. 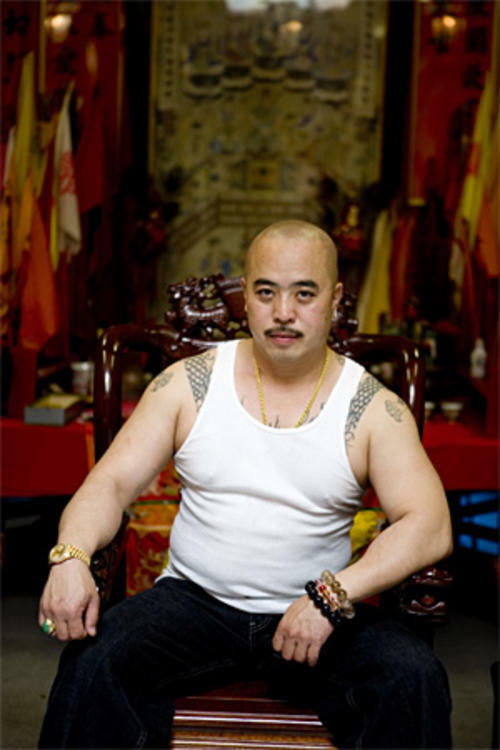 As a public service, I googled Shrimp Boy. Mike G. of Mike & Mike came to the conclusion on ESPN that the solution causes as many problems as the NCAA problem. 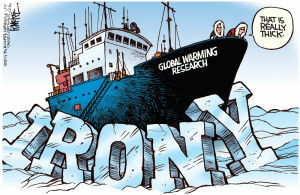 Sponsored by Progressive Ins., perhaps there is a lesson to be learned. 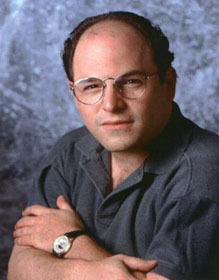 Costanza would also be a good choice, jimmyk. Let's not forget he's also a marine biologist so he's already more of a scientist than Mann. I found him extremely funny and excruciatingly embarrassing, as he was supposed to be, on Arrested Development. He would make a superb Waxman if Henry can get one of his Beverly Hills neighbors to produce a biographical film about him. The indictment of the mayor of Charlotte has implications for the NC senate race. Peyton Manning again demonstrating he's a cut above most other athletes. His one demand when leaving the Colts to sign with a new team; that he NOT make more money than Tom Brady. He apparently was ticked when the Broncos offered him more anyway and nearly didn't sign with them. Susan Estrich needs to shed those vocal cords. Rich gave us the cover story of being in FL for an interview right before the Tyler Cowen pepper spray incident at GMU? I meant to say alibi. Late to the thread, but--if, as Ezra and Matty claim, we don't need to worry about the national debt because the treasury can just print more money, why does the U.S. Government need my tax dollars? Perhaps, how connected was the Major to Hagan? The 35% of the population that is AA is not defecting. Didn't he replace the weasel mayor, now at Transportation? According to Matty so long as the CPI remains low it's copacetic. Let's give it a try. We endured 1T plus deficits so what's a few 3T ones? Whoa, Richard Sherman and Condi chatting it up at the Stanford game. Go Flyers! When the Yee news broke, local talk radio had a guest on (some long-time Sacramento political reporter) who predicted more FBI stuff on the way. He said there has been an intense FBI investigation going on for 6 months now in Orange County. That got my spidey sense twitching, because Orange County is considered quite Republican. After today's practice. Just back. sbw, IMO, we are very short of investigators. JiB, I'm in love! 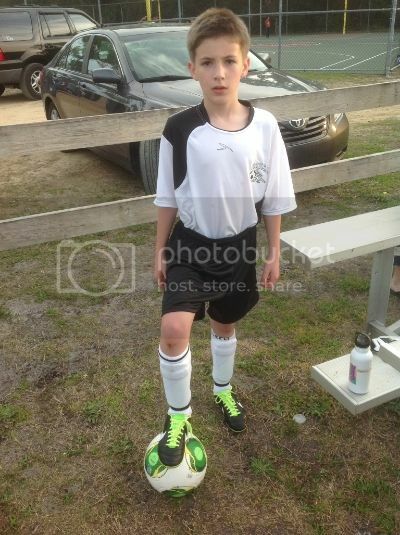 What a great kid and what a great picture. Boatbuilder- I guess technically technically they are right. We can print money until we run out of ink, but will those dollars be worth the ink they are printed on. Maybe not, narciso. Lefties have infiltrated everywhere in this state. Will this be a talking point for Cantor at the weekend RINOpalooza? Hey, Charlotte is not yet a blue hell---more like Detroit, circa 1962. On our way, after Anthony Fox and Patrick Cannon, but before that we had 14 years of Republican now Gov. Pat McCory keeping our City Council on task. Anthony Fox did leave us behind to take that Secretary of Transportation job. Very well qualified, as we do have buses and one track of light rail. Had something to do with hosting the Democratic Convention and forgiving the debt, I do believe. His one demand when leaving the Colts to sign with a new team; that he NOT make more money than Tom Brady.